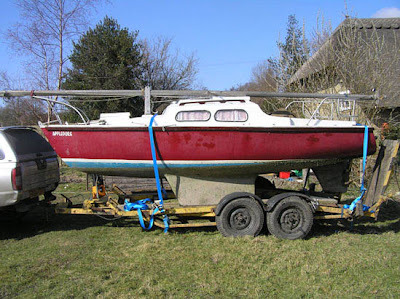 This is David Knowles Alacrity "Appledore" just after he brought her home after a 400 miles' drive from Cumbria, UK. 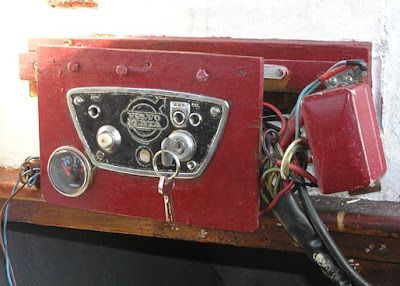 The boat has, unusual for an Alacrity, an inboard engine. 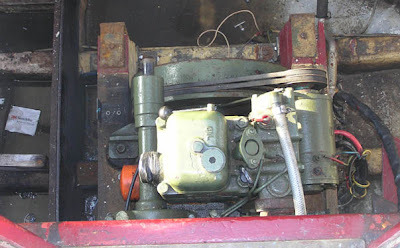 On the picture the prop, fixed to a special skeg can clearly be seen. 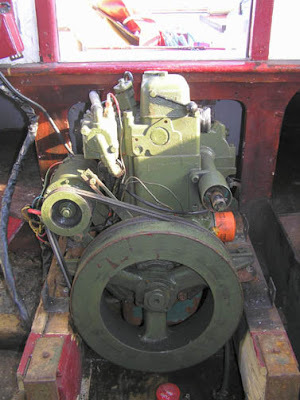 The engine is a 8hp Volvo Penta, not the most modern with a heavy flywheel. Originally she had a Stuart Turner. 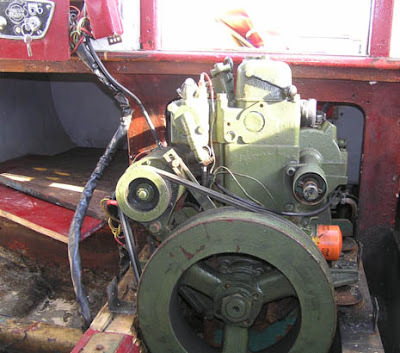 The engine sits partly in the cabin itself, partly under the bridgedeck. And finally the control panel. David has promised to deliver further reports on the engine's performance and how it affects the boat. He also may change the boat's name to something more personal.